When Simon Blackburn speaks, it’s almost mesmerising. 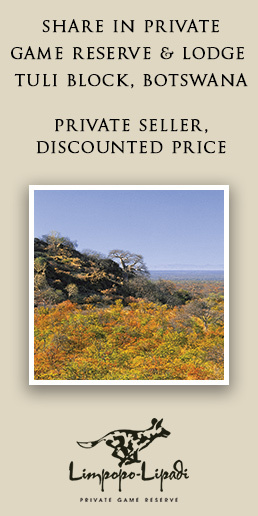 This seasoned safari guide has a way with words, completely immersing his listener into his chosen subject matter; making his rendition of one of the most controversial and infamous battles of the Anglo Boer War blood-chillingly riveting. 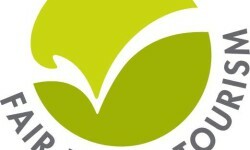 Simon owns and runs the Fair Trade Tourism certified Three Tree Hill Lodge with his wife Cheryl. It’s both their family home – a bunch of children, dogs and horses complete Team Blackburn – and their life’s work. Simon induces gasps and even tears while sharing the horror of the battle that raged here at the dawn of the 20th century. It’s a sombre place, with various crosses and memorials marking the mass graves of victims from both sides; contrasting starkly with breathtakingly beautiful vistas and the distant peaks of the Drakensberg. 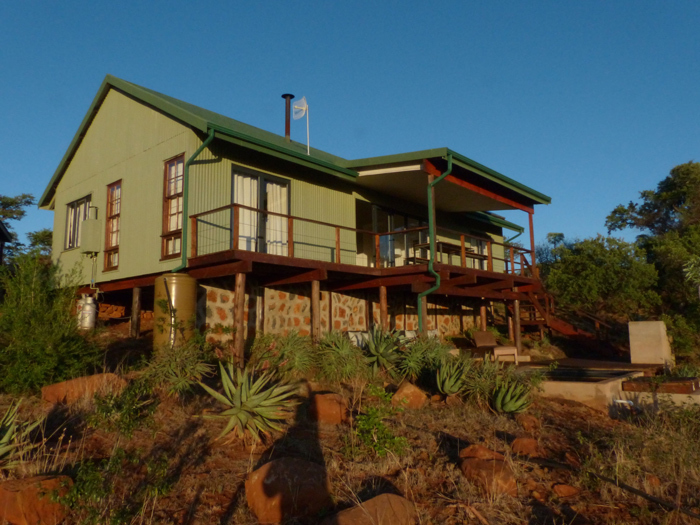 Three Tree Hill Lodge is a hiker’s, biker’s and rider’s paradise, with endless trails for walking, mountain biking and horse riding literally on the doorstep. 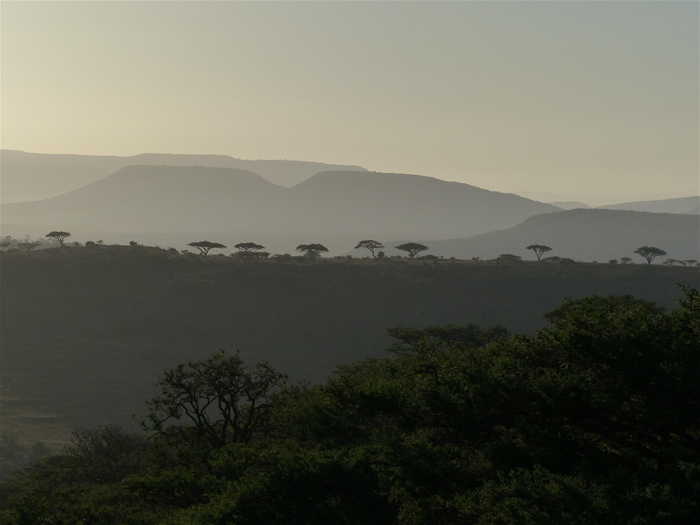 The Drakensberg, which make up the western horizon of the lodge, are a half-hour drive away. And a trip to these mountains makes for a perfect day trip, complete with a hearty picnic lunch from the lodge. 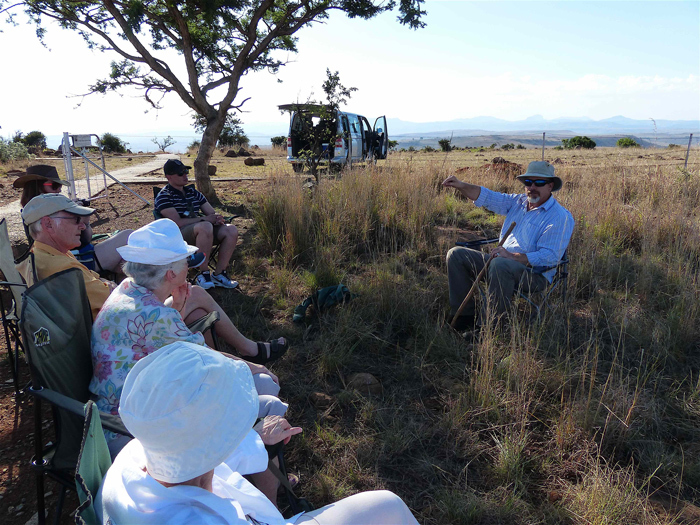 Simon’s guided Spioenkop tour, together with a range of other battlefield tours, are offered as optional activities. 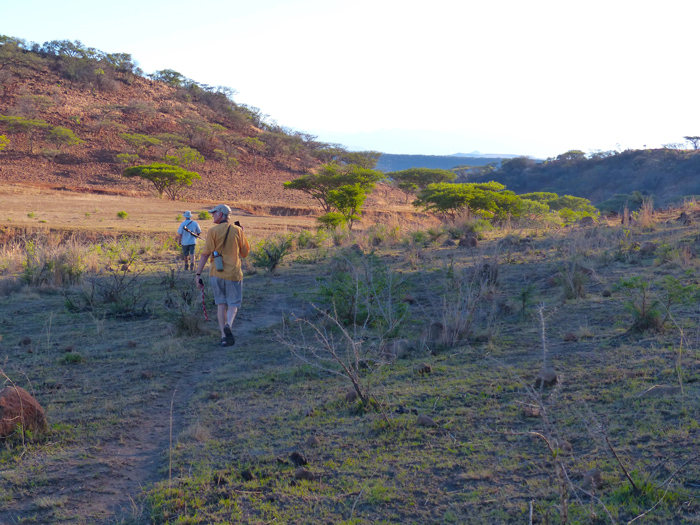 There are animals everywhere, be it the Blackburn hounds, chickens, cows (a heiffer named socks is a regular interloper) and horses, or the eland, zebra, giraffe and various other wildlife species that can be spotted regularly in the game reserve next door. The lodge grows its own organic vegetables and sources what it doesn’t grow itself from sustainable businesses in the region and around South Africa. All of the cleaning products the lodge uses have been carefully sourced by Cheryl to meet Three Tree’s strict policy of only using sustainable, ethical procurement and are fully biodegradeable. Cheryl has taken sustainable procurement to the next level with everything from toilet rolls and honey, to olive oil and soap, and even the gifts and curios in the lodge’s shop sourced from sustainable suppliers; many of whom are local entrepreneurs who have developed thriving businesses as a result. Indeed, the lodge’s gift shop is packed with the most amazing products that Cheryl has hunted down from all over the country, be it carvings from local artisans or sunscreen and wine. 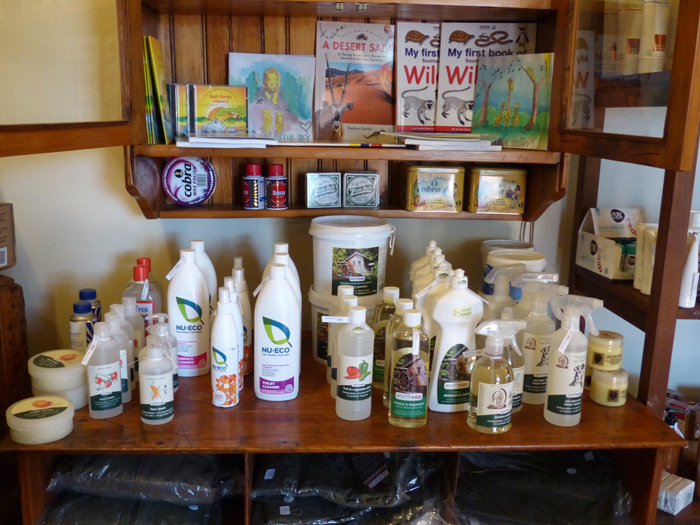 Products used at the lodge are also on sale in the shop, including innovative power-free slow cookers, the full range of biodegradeable cleaning products and solar lanterns. Combine this incredible attention to detail and thorough commitment to sustainability with the history, topography and natural beauty of the area and you get an absolutely first-class family holiday destination.